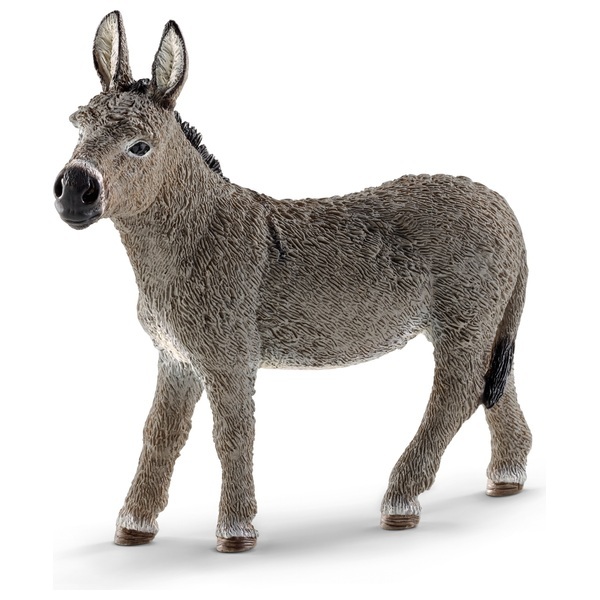 The domestic donkey comes originally from the African donkey. It copes well with hot temperatures and makes little demands on its food. It is often described as stubborn and stupid when he stops for seemingly no reason at all and refuses to move on. However, the opposite is the case. Donkeys cannot run as fast as horses, so it would be senseless for them to flee in panic in a dangerous situation. They first try to consider if they are actually in danger and if so, what would be the best escape route. Donkeys aren’t always grey. They can also be brown, white or black.